Everyone wants a muscular back. Chicks dig it on a dude, and usually want a toned back for themselves as well! I want to offer you some tools and strategies on how to improve your back training. Read into this article and I will reveal 3 secrets on how you can do this with a few tweaks! You might want to throw some more rows into your training. These can be great to add some shape in places as well as the thickness. Don’t just stick to normal barbell rows, switch up grips and hand positioning. 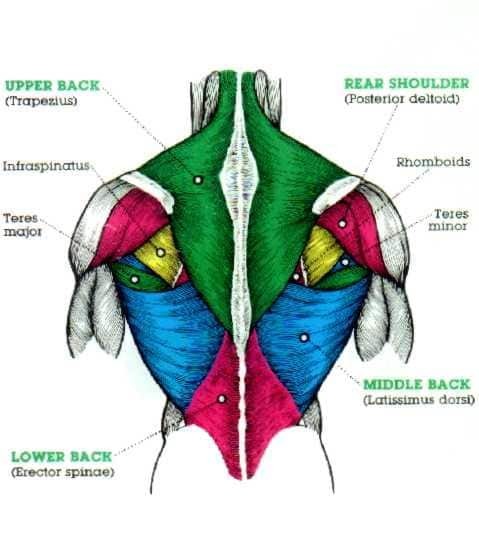 These will target most of the major muscles on the back like the rhomboids, trapezius, latissimus dorsi, trees minor and major, infraspinatus, and the biceps as a secondary muscle. Now don’t forget that you can’t have a COMPLETE back with just rows, you’ll need other exercises like pull ups, deadlifts, planks, face pulls, etc. This is what most people neglect when training for a complete looking back, they forget to train to WHOLE thing. I love performing different angles on most exercises especially back day. 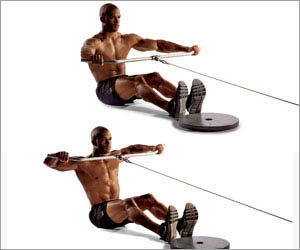 By doing different angles on something like a bent over row, you could target more of the upper, middle or lower back. The more upright you are the higher the muscle being targeted in a row. You can switch up angles on others things like the bench degree you use. This is something you can do with many exercises like a pull over for example, this can be done on a normal bench or a decline bench to increase the amount of contraction at the end of the lift. This high cable row back exercise will light up the upper back and really build some quality muscle around the traps and rear deltoids. Time under tension is something that I have invested a lot of time into while training and studying it as well lately. I have been happy with the results of what it can do for you and the concept. Time under tension is basically this, lets say you are doing a bent over barbell row and you have 10 reps to do. Instead of going through the reps normal and being finished within 15 seconds, try bringing the weight up slow during the concentric portion, contract the muscle at the peak of the movement for 1-3 seconds then releasing it for a slow negative on the concentric portion. What this will do is put more stress on the muscle and give you the biggest bang for your buck when trying to enhance those back muscles. These are 3 secrets to building a superior back, imply these tips and methods into your training and let me know how it works for YOU! Share this with your homies, gym buddies and on social media for others to try, thank you for the support!